Monday 20th May - Landulph Parish Assembly - 7.00pm, in the Landulph Memorial Hall Annexe, followed by the Landulph Parish Council Annual General Meeting. View the papers here. Consultation on Cornwall Council's Housing Supplementary Planning Document ... Cornwall Council is publishing the following document for a four week consultation period between Monday 8th April and 5pm Monday 6th May 2019. The document explains how Cornwall Council will implement the policies in the adopted local plan with regard to housing and the provision of affordable housing. Copies of the document can be downloaded from https://www.cornwall.gov.uk/environment-and-planning/planning/planning-policy/adopted-plans/planning-policy-guidance/housing-supplementary-planning-document/, or by contacting the Local Plans Team on 0300 1234 151 or emailing localplan@cornwall.gov.uk. European Parliamentary Election 23 May 2019 - Notice of election for the South West electoral region... more information available here. Emergency Procedure for Defibrillator: In the case of a suspected heart attack / cardiac arrest DIAL 999. If appropriate apply CPR and ask someone to collect the defibrillator from Landulph Memorial Hall. Usage instructions, ENTER 1111 then press the tick on the keypad to open the box, remove defibrillator. The unit is designed to be used by anyone, when the unit is opened, voice instruction will guide the user through the process. Landulph parish comprises the village of Cargreen and the rural parts of Landulph, situated on the banks of the river Tamar. It is in an Area of Outstanding Natural Beauty, surrounded by Duchy of Cornwall land, and with Pentillie Castle and its 2000 acre estate to the north. 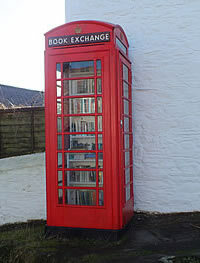 It lies next to the adjoining parishes of Botus Fleming, St Mellion and Pillaton. The parish has a population in excess of 500. It contains the Parish Church of St Leonards, the Landulph Methodist Church and a vibrant village primary school. There is a thriving Yacht Club and, central to community activities, is Landulph Memorial Hall. The hall is used for many events throughout the year, and provides a base for activities including the Film Club, Gardening Club, the Under Fives and Toddler Groups. Down by the riverside at Penyoke lies a playing field and a well-equipped playground for younger children. Cargreen was originally a thriving fishing and mercantile port, bringing prosperity to the whole of Landulph parish. In the early 20th century, the landlord of the Royal Oak public house (which was situated on the quayside) also worked the ferry boat operation from Cargreen to Bere Ferrers, where travellers caught the train to Plymouth. The community comprised of a number of farms and market gardens raising livestock, growing arable crops, soft fruit and daffodils, although these are no longer grown commercially today. There is a small light industrial site near Landulph Cross. Landulph Parish Church is one of four churches in the United Benefice of St Dominick, Landulph and St Mellion with Pillaton. The Landulph Methodist Church dates back over a hundred and thirty years. The beautiful organ was built in 1850, and installed after the building of the Methodist Church. The village of Cargreen used to have four shops and a post office, all of which have now closed. There were once two public houses, but the last survivor – the Crooked Spaniards (formerly the Royal Oak) closed in 2007. Landulph Primary School has approximately 65 pupils from around the district and is now linked to Saltash.net as part of a multi-academy. The school building incorporates a memorial to those who died in the Great War – a striking clock, which is maintained by the Parish Council. The Village Memorial Hall was built in 1970 to commemorate the second world war. In 1972, the Yacht Club was formed, moving into a new clubhouse in 1995. 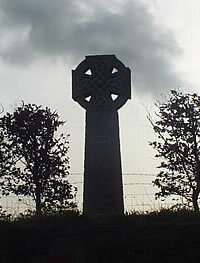 In 2000, in order to mark the millennium, a Celtic Cross was erected overlooking the crossroads by the school. Landulph Parish Council was formed in 1894. As a statutory body, it operates within the powers granted by local government legislation.